The Himalayas shook with so much brutality that over 9000 Nepalese people lost their lives. many more were injured or were bereaved of their houses and livelihoods. Priceless cultural relics collapsed or got severely damaged, in spite of it all, tourists are now returning to rediscover the country, and finding the works of traditional artisans in the Kathmandu Valley area as vibrant and irresistible as ever before. Take, for example elegant artisanal paper made from Himalayan shrubs, which has been produced in Nepal for well over a thousand years. The earliest surviving paper document in the form of a sacred Buddhist text is estimated to be between 1000 and 1900 years old. For a long time this handmade paper was used excusively to record government matters and religious text. The paper is made from the inner bark of two species of shrubs, referred to as Lokta, the shrubs grow on the sounthern slopes of Nepal’s Himalayan forests between 1600 amd 4000 matress above sea level. The bark is made into pulp and then dried. 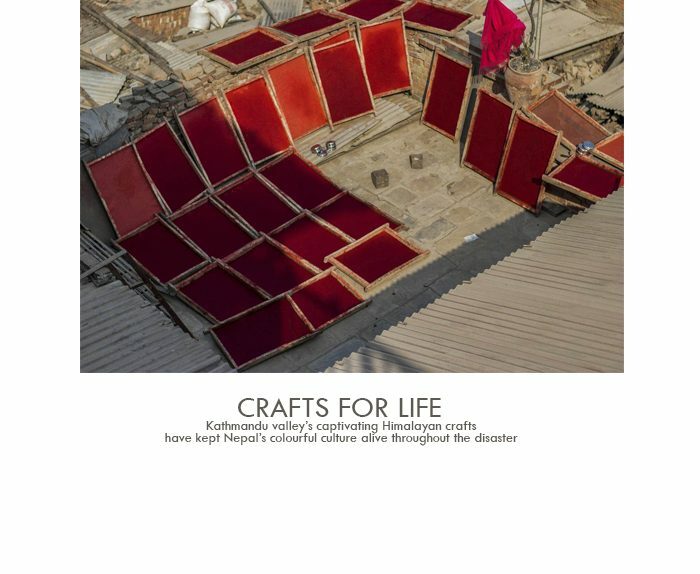 Lokta crafts are produced in the Kathmandu Valley where the shrubs are transformed into vivid paper products ranging from iconic prayer flage, photo albums, wall decorations and gift boxes to enchanting stationery and wrapping paper. Equally colourful are Kathmandu Valley’s imaginative felt crafts, which have become an exquisite side product of the Nepalese wool industry. Felt is the oldest form of fabric known to humankind. It is said that Noah’s Ark was lined with wool and the fusion of heat, seawater and the trampling animals letf behind a felt carpet. Curious as to how my recently-aquired soft, but sturdy felt bag was made, i head to the rayal city of Patan, located only five kilometres from Kathmandu, handicraft centre felt is a fabric made of wool fibres, but without the well known techniques of spinning, weaving or knitting raw white wool from the Tibetan Plateau is first dyed in the required colours. 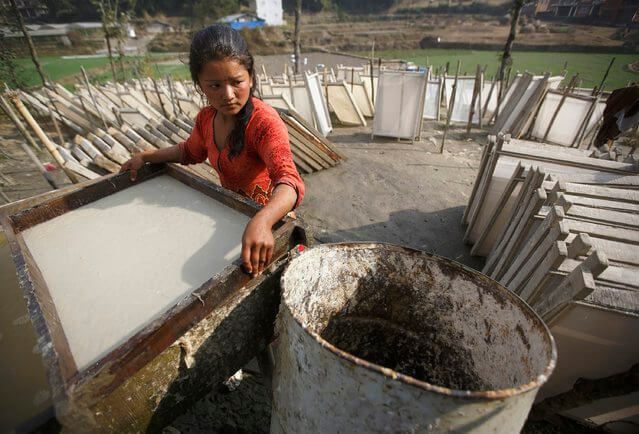 The skilled labourers compress the material by hand with the help of soap and hot water. while still wet, the felt is shaped into the pattern of the internded design, such as bags, hair accessories and slippers. The shaped felt items then are sun dried and stitched if needed, still dazzled by the cheerful hues of the felt products on display, i head to Bhaktapur located a bout 15 Kilometres from Kathmandu, Here another explosion of bright colurs welcomes me at the house of Hari Prasad Baidhya, who started creation Paubha paintings in 1993 aged just 16. Paubha paintings are traditonal religious artwork that represent the rich cultural Hindu heritage of the Newari community in the Kathmandu Valley, despite the fact that most Paubha paintings how Buddhist subjects, with only a few depicting Hindu themes , it is belived that this art form dates back to the 13th century. As i continue to walk the streets of Bhaktapur, a painting of dancing skeleton catches my eye, this paintings protect housedholds against nighmares and evil in the soul the skeleton symbolises the soul, while the dancing will chase away nightmares and evil, further along, i notice a series of brightly painted faces staring at me, these bewitching handmade masks represent Hindu and Buddhist gods and goddesses depicted in religious ceremonies. Mask makers. to bring the faces to life black clay is first mixed with cotton,strengthening it to prevent the mask from breaking after drying. 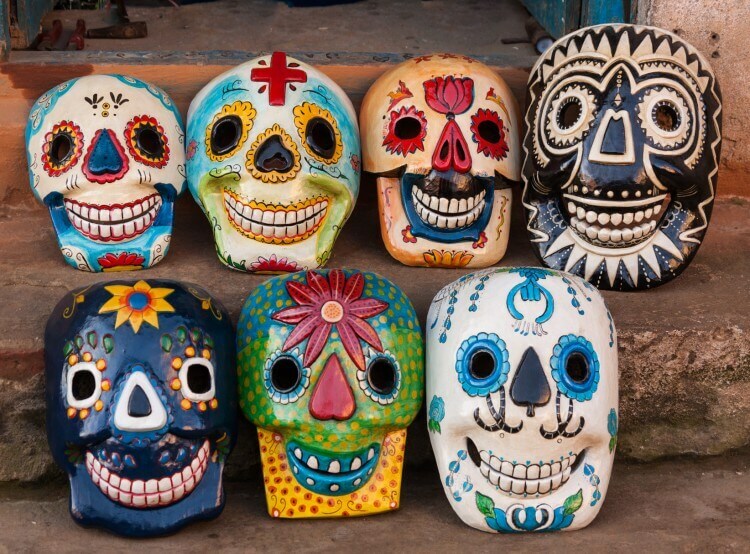 The additona of rich paper makes the masks easier to paint and will give them more strength. After the mask had been sun dried, and array of radiant colours is appliced to the mask. The painting of the mask is all done by hand and can take up to six hours. Chitrakar’newest creation emerges, depiction Ganesh, revered as the remover of obstacles and recognisable by its elephant head. often produced by families who have been involved in their trade for generations, much of Kathmandu Valley’s crafts are made with such skill and dedication it does not seem appropriated to call them souvenirs. Rather by taking home one of these traditional works, you collect what can only be described as a true piece of art and soul.